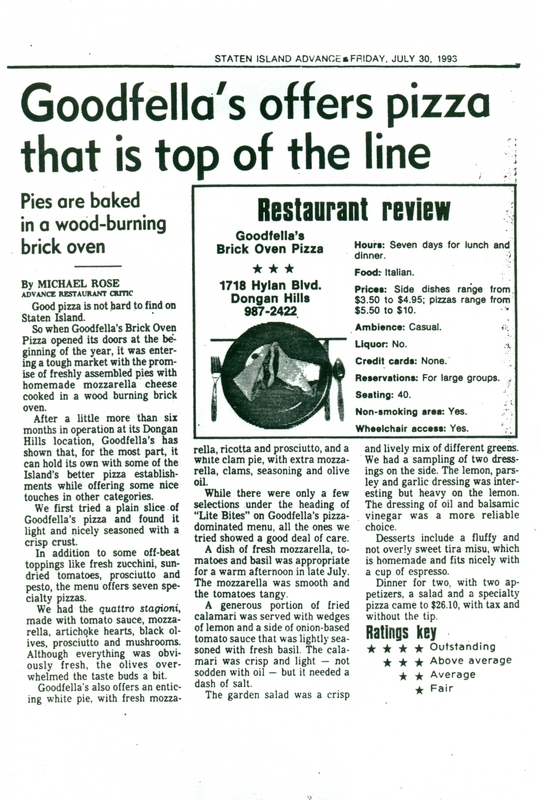 Staten Island's First Brick Oven - The Original Goodfella's! 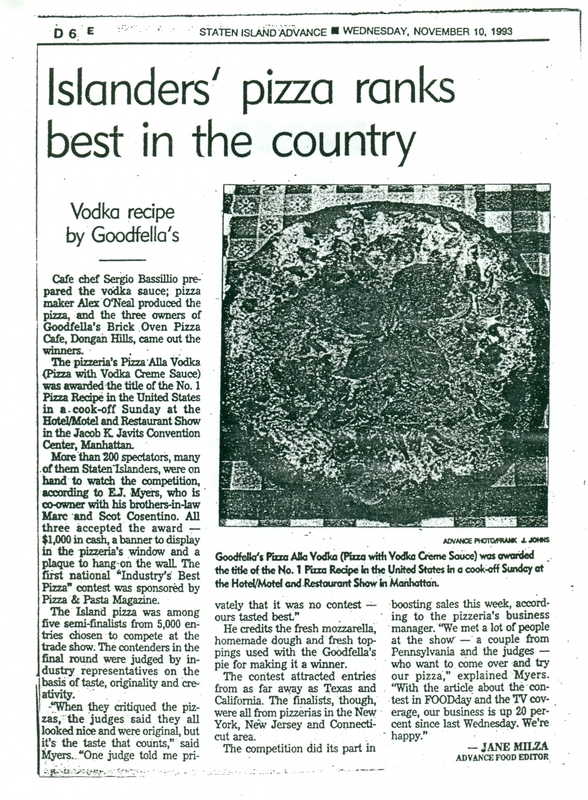 The original Goodfellas pizza invented and won back to back National Awards for the Pizza alla Vodka, being at the forefront of introducing gourmet pizza New York and the United States. 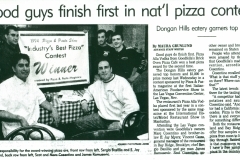 Within the first 6 months of being open at the 1718 Hylan Blvd location in Staten Island, NY, the restaurant won in Las Vegas Nevada for the Pizza alla Vodka, and followed it up with another win the following year at the Jacob Javits Center. 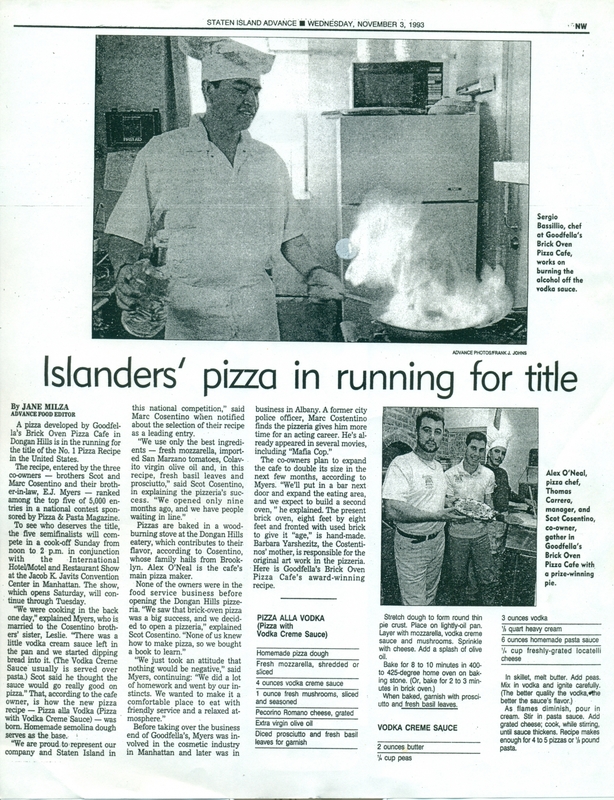 It was in these first 2 years which established the original Goodfellas Pizza’s winning history. 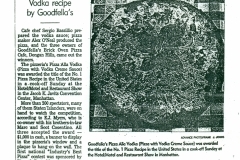 You are able to buy a slice of Vodka Pizza anywhere in the tri-state area, but it all started here at Goodfellas. 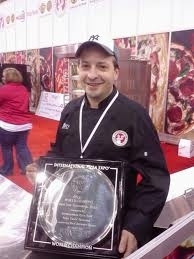 Sal Russo of the original Goodfella’s Pizza wins 1st place. 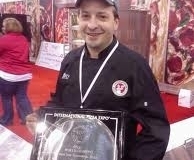 The Sally Pie is named Best Pizza in America. 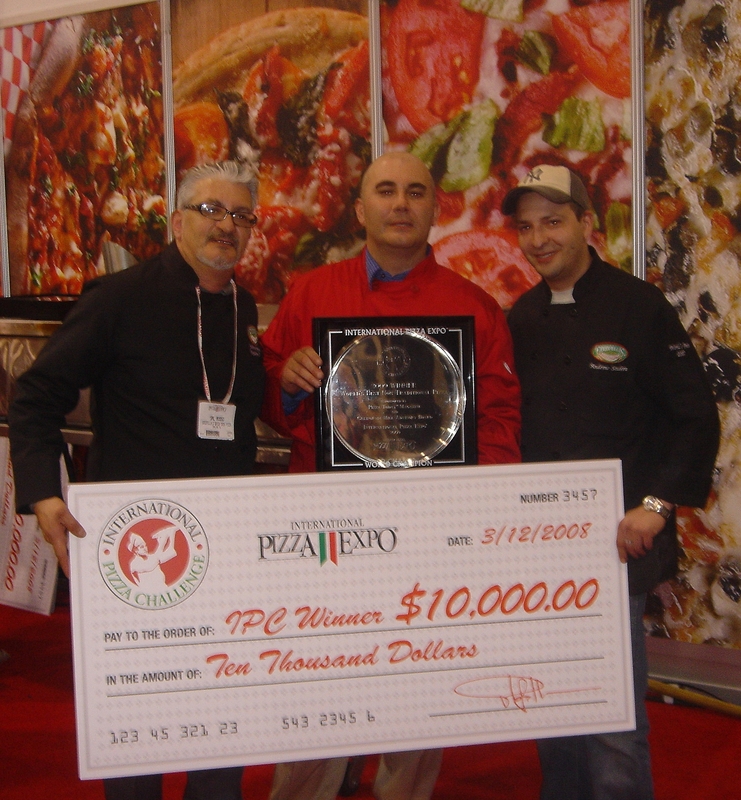 In 2007, the Pizza Expo in Las Vegas became international, allowing contestants from across the globe to compete for Worlds Best Pizza. 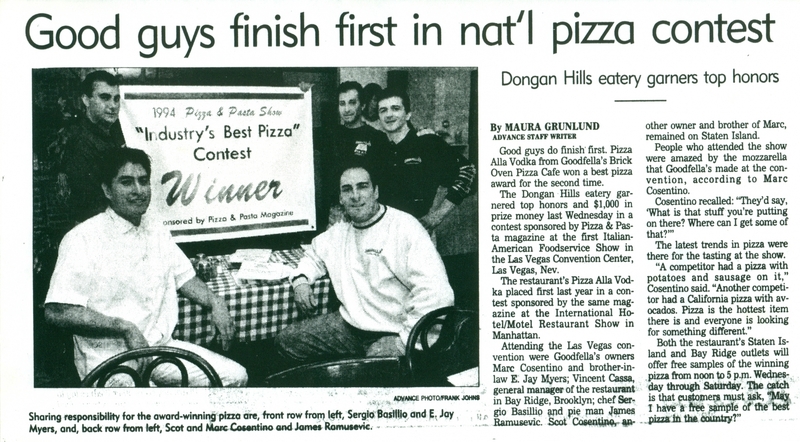 The original Goodfellas pizza took 1st place at the first international Pizza Expo for the Smokin Goodfella. 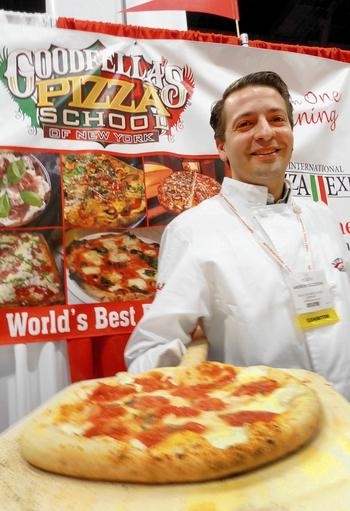 At least when the topic is pizza. 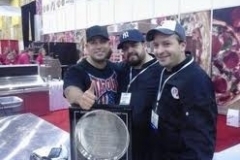 The original Goodfellas pizza, a Staten Island success story, won best non-traditional pizza in the world at this year’s International Pizza Expo in Las Vegas. The winning entry is a sumptuous “Crustacean Sensation” seafood pie, which, by the way, reclaimed the title lost last year. 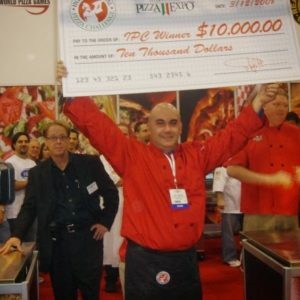 Goodfella’s Brick Oven Pizza beat 120 other entrants during last week’s competition with a lobster, shrimp and crabmeat concoction. The semolina crust is topped with mozzarella, lobster, shrimp and lump crabmeat and finished off by a blackberry brandy cream sauce. 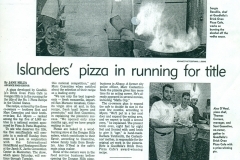 Nadine Marino of Bay Terrace was a little skeptical, but her doubts disappeared after the decade-long customer took a bite last night. 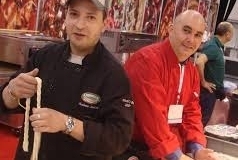 Over three days the gourmet field category narrowed to 120 and then 10, and was evaluated by a panel of executive chefs, one of whom liked it so much he put in a last-minute take out order. 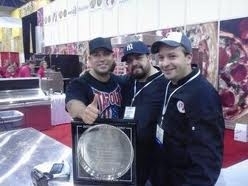 Goodfella’s has won 3 of those 6. 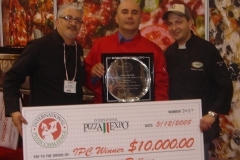 The International Pizza Expo, a three-day-long competition in Las Vegas, with more than 10,000 attendees, culminates with the crowning of the best pizza in the world. 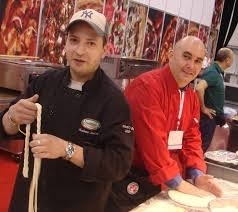 Don’t expect a bunch of typical Margherita or four-cheese pies — at least not in the gourmet category. 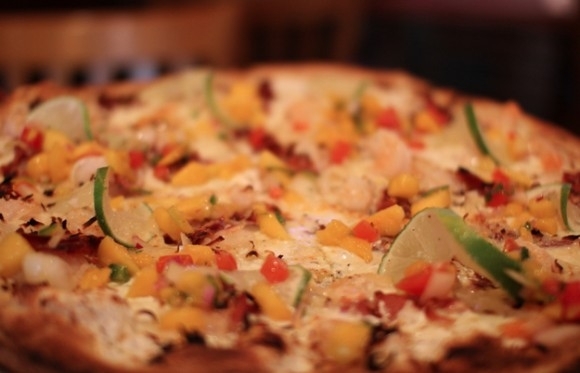 The winner of last week’s contest combined asiago and mozzarella cheeses, shrimp, mango, and limes on a bed of Patron-infused pineapple cream sauce. 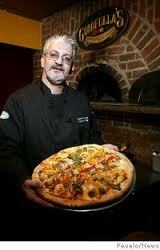 After the big win, you can now purchase the pizza for $15.99 at the pizzeria in Staten Island. 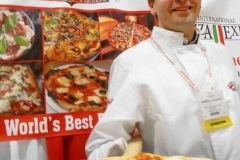 Other notable entries included a Japanese chef’s sushi-grade raw fish pizza on rice crust. 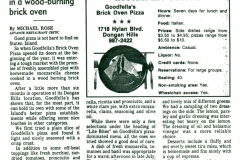 Another entry consisted of a duck pizza topped with fermented garlic.